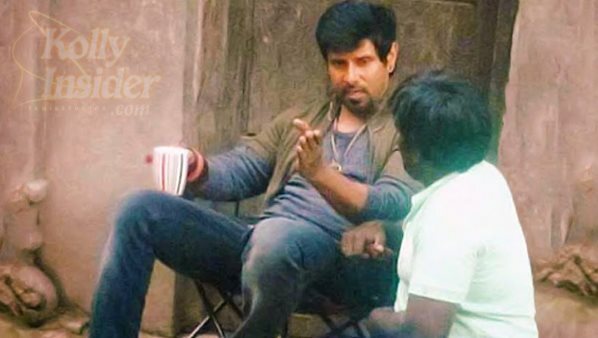 Vikram, Samantha starring 10 Enradhukulla is in final stages of shooting, says director Vijay Milton. The cinematographer, who turned filmmaker with Goli Soda has recently completed a long and crucial schedule in Nepal, where he completed most of the shooting. "10 Enradhukulla is based on a journey, hence it is a kind of road movie built into a action-oriented script", admits director. Further, a statement from Vijay Milton read, "First half of 10 Enradhukulla completed. D Imman started bgm from Monday. Left with a chase sequence, which is the tail end of climax, otherwise shooting part is complete". 10 Enradhukulla is the joint production venture of AR Murugadoss Productions and Fox Star Studios.